A 40 minute drive from Hale a Kimo Kali is the historic city of Hilo. 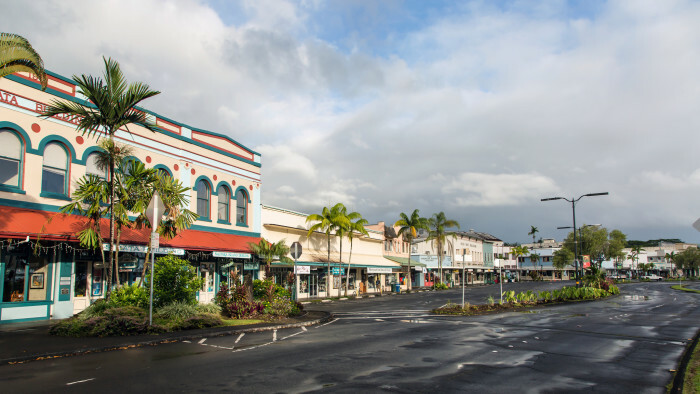 You can easily spend a leisurely day walking around downtown Hilo browsing, shopping and visiting its parks, one of which is Lili’uokalani Park. 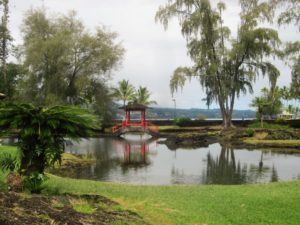 This Japanese garden park is located off Banyan Drive and has manicured lawns, shallow ponds, bamboo groves, quaint arched bridges, pagodas and a tea house, all with a panoramic view of Hilo Bay. 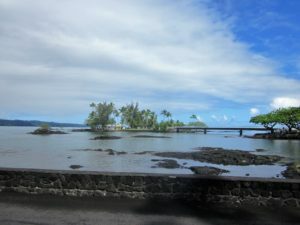 Walk across the footbridge to Coconut Island. 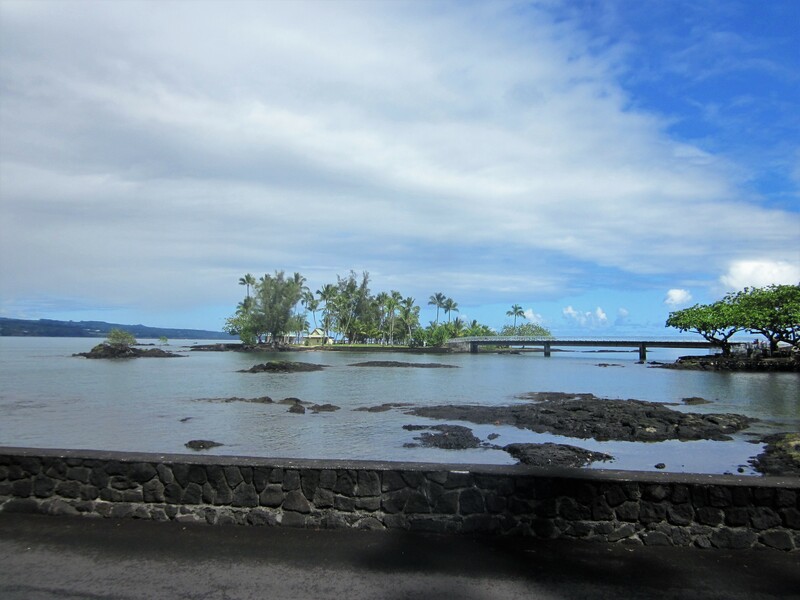 While crossing the footbridge peer over the railing and catch a glimpse of a sea turtle (honu) passing beneath. 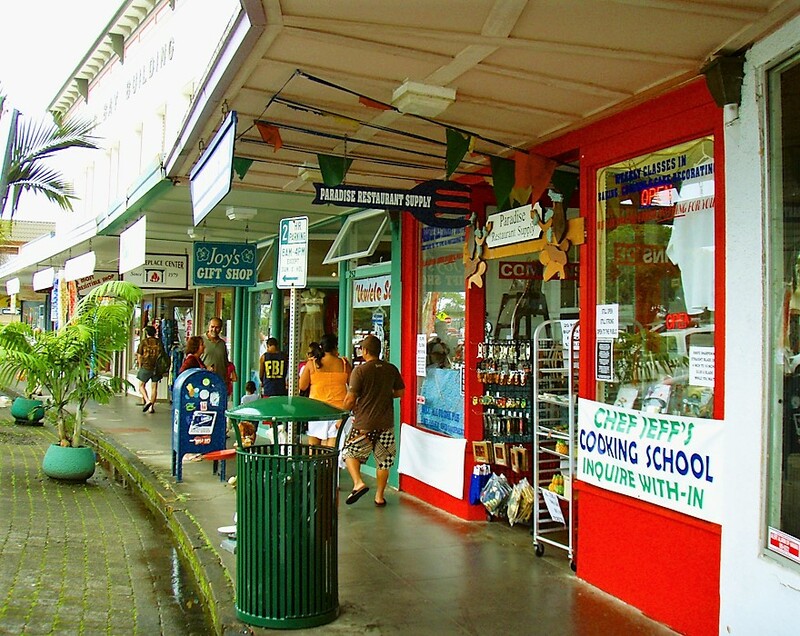 Many of Hilo’s centuries – old wooden storefronts are on the National Register of Historic Places. 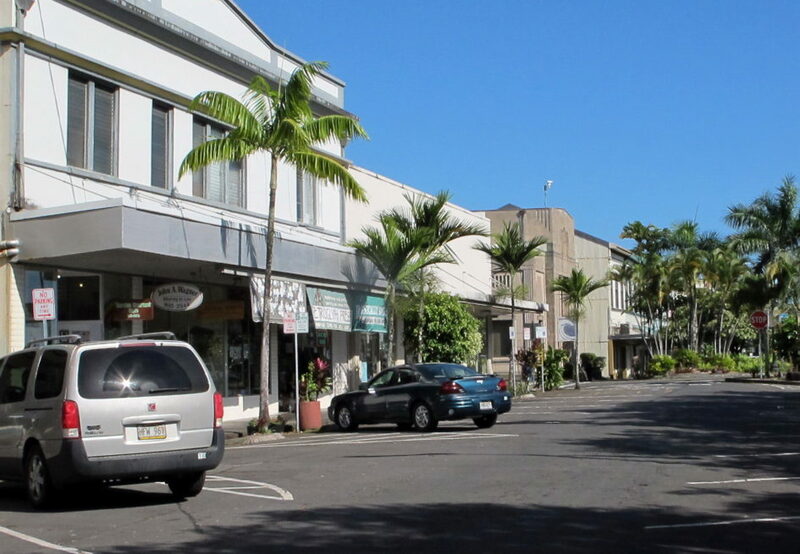 Take a stroll down Kamehameha Avenue also known as the “Bayfront”. 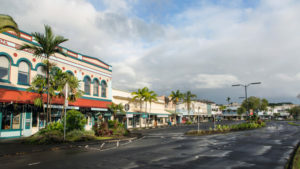 Along this avenue facing Hilo Bay you will find a variety of galleries, unique shops and restaurants. Stop into Café Pesto for lunch or dinner. Set in a lovely historic building, this is one of our favorite restaurants in Hilo to enjoy a casual meal. 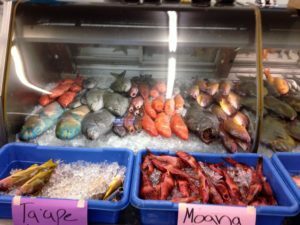 For additional eating options check out: Pineapple’s, Hilo Bay Cafe and Moon and Turtle. 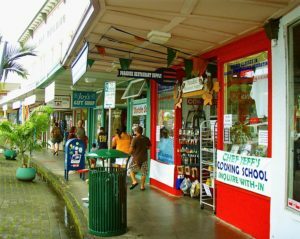 For additional shopping you can visit Hilo’s main shopping center, Prince Kuhio Plaza located south of the airport just off Highway 11. 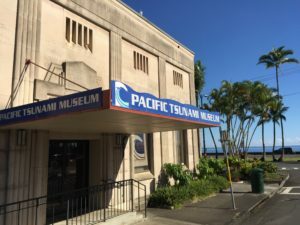 This is the main shopping center and in the surrounding area you will find larger big chain stores such as Walmart, Target, Ross, Home Depot and Safeway.